The Royal Thai Navy opened its ultra-modern submarine base and training center, even though the country doesn’t yet own a sub. 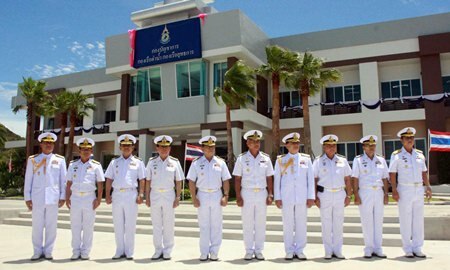 Royal Thai Fleet commander Adm. Narong Pipatthanasia inaugurated the 540 million baht facility spread over 45 rai at the Sattahip Naval Base July 7. The submarine squadron’s facilities designed by Success Engineering and Construction Co. include a sub simulator from Germany, tactical-training facilities, barracks and kitchen facilities. Crews will train on sonar, satellite-navigation and other systems. 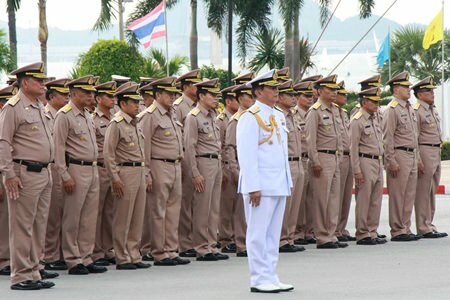 The Royal Thai Navy last week opened its ultra-modern submarine base and training center in Sattahip. Narong said establishment of the sub base is an important step toward actually having submarines in the fleet. The navy has not had a submarine since 1951, but has been trying for several years to get some. 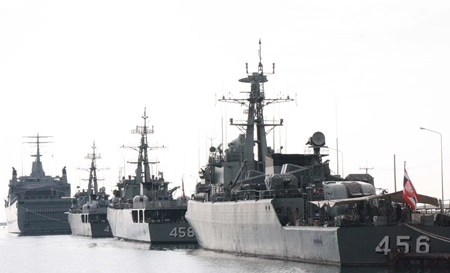 In 2011, Thailand negotiated to buy six small used submarines from Germany for 7.7 billion baht and considered buying two larger new vessels from South Korea, but both deals fell through. Instead, navy sent personnel for sub training in Germany and South Korea. Recent maritime territorial disputes have caused several Asian nations to consider acquiring or expanding submarine fleets.